details: By Tore Ylvisaker A02 and Boe A22. Entirely (re-)recorded, produced and mastered by Audun Strype A35 @ Strype Audio, Oslo, Norway 1993, except 04 recorded live @ Vigelandsmausoleet. 06 is based on a work by Arne Nordheim, who gave us his permission. Lyrics by Robert Thorndyke A14 and Boe A22. Additional musicians: Øyvind Rauset A03 (fiddle), Helge Sten A04 (audiovirus), Ole Henrik Moe Jr. A10 (violin), Per Platou A11 (accordeon), Per Christian Bjørhusdal A56 (flute). Photo: Morten Øen A81. "Totally in tune with the KAos of Origami Republika, our most expensive production has remained unreleased. This recording was made at a time when the term cyberpunk was still in use. There were "new" thoughts about technology, art and music around. The techno-scene was emerging. It was years before the internet became a source of easy cross-mixing of impulses, influences and interests. This proved that the technological revolution not necessarily meant throwing overboard impulses from the past. 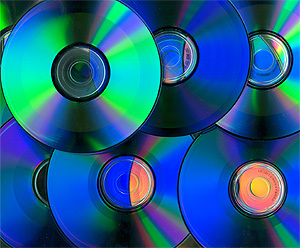 It proved that hypermodern digital expression could still be based on traditional song-writing and instrumental performance. It proved that the dots and stripes can go together if the listener allows it, and is not scared of a bit of otherness. The tracks on the record is based on a bunch of loop-cassettes that Boe A22 used as support for The Jungle Medics on tour, on various occasions in local settings, as well as on the first proper Origami tour to Italy. Boe A22 had some ideas about frames of songs, then Tore Ylvisaker A02 started fleshing out the material on his CueBase sampler and sequencer. We then brought these song structures to Audun Strype A35´s mastering studio, being among the few who have ever recorded a full album there. First we rerecorded the sources and then we dubbed a lot of real instruments onto them. 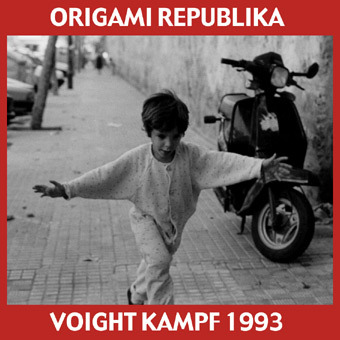 The roots of the border-busting contrasts that were to become typical of the Origami Republika work can all be found on this recording, and for that it is of great importance in the development of the concept. This was were we started separating between f.i. Origami Arktika (Skog, Sted, Autumn Scent), Origami Teknika (Delightful Dream) and Origami Replika (Force 'Em Open). The broad diversity of material in this recording was not surprisingly too much for most labels we sent demos to, still several of them found some of the tracks of interest. For almost two years we believed that this would come out as a cd on a sublabel of the great Sub Rosa (we even saw the sketches for promotional fliers and catalogue display), yet this was shelved by them as they focussed on a series of 12" drum'n'bass-records instead. Finally we received a "mea culpa" fax from Sub Rosa. For years after we thought about putting it out ourselves, but ultralimited funds and copyright issues like the extended used of film samples and people appearing made that very difficult without professional help." produce: The album has remained unreleased, only around 50 tape copies are circulating.